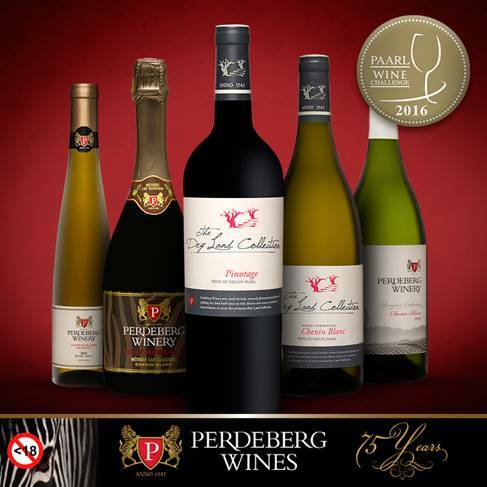 With the spotlight on Pinotage and Chenin Blanc at this year’s Paarl Wine Challenge, Perdeberg Wines selected seven of their very best wines to compete in these two categories. Ben Samuels, who is part of the Perdeberg winemaking team, was named Cellar Assistant of the Year. This year’s judging panel consisted of 7 judges that included 2 winemakers, 1 sommelier, 1 CWM and one retail buyer. Only Paarl Wine of Origin wines were allowed to enter. The official tasting took place on Thursday, 21 July at Nederburg in Paarl with the winning entries in each category announced at the awards dinner on Thursday, 11 August 2016. Paarl Wine Route Challenge 2017 will feature Shiraz and Sauvignon Blanc and, in 2018, it will be Merlot and White Blends, while Red Blends and Viognier will be battling it out in 2019.